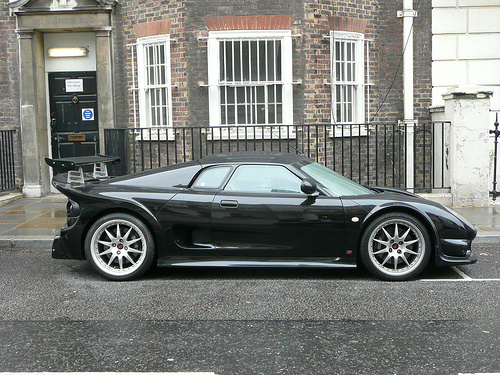 The Noble M10 sports car was introduced in 1999, and produced for just a year when it was replaced by the Noble M12, a two seater that was offered as both convertible and fixed head coupe variants. Like the M10, it was built with a composite glass fibre body, but the glass fibre chassis was replaced by a steel tubular space frame version. As a result, it had a curb weight of just 980 kg, the same as the M10, which meant that it was not only lightweight but had a firm construction. Of particular note was the distinctive rear wing which, together with a front splitter, increased down force. 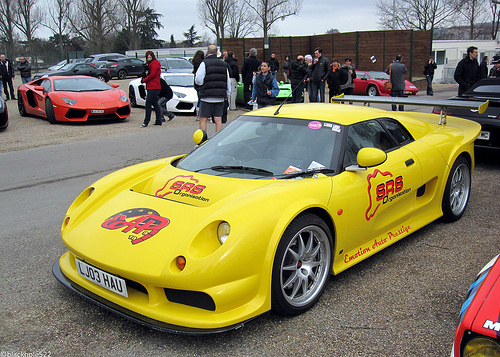 It was designed to be street-legal for use on both road and track, and produced good ride characteristics, which was helped by the fact that it was not fitted with anti-roll bars. The build quality was widely regarded as of the highest standard. For this reason, coupled with the outstanding performance, the scene was set for the successful development of the Noble brand. 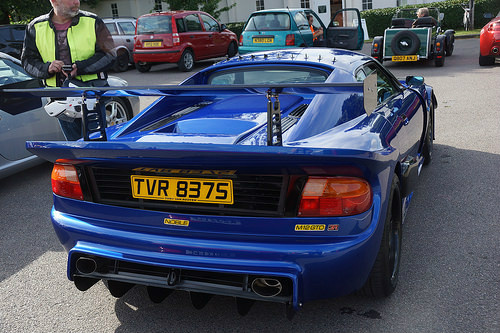 It was fitted with 13 inch vented and drilled disc brakes all round, a full roll cage, but no ABS or traction control. 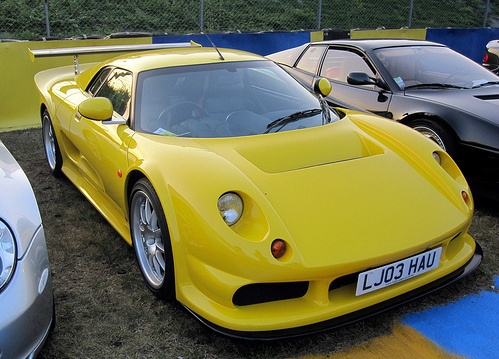 Designated the Noble M12 GTO, it was powered by the same aluminium, Ford Duratec 2.5 litre, V6 engine, from the Mondeo, as used in the M10 variant. However, the M12 GTO featured the addition of two Garrett T25 turbochargers, plus an intercooler, to the specially tuned V6 engine which now developed 310 bhp at 6000 rpm, and 320 ft/lbs of torque at 3500 rpm. This was a very flexible engine, with some three quarters of the torque being available at around 3000 rpm. Once again, fitted with a five speed manual gearbox, also from the Mondeo, it produced a top speed of 165 mph, with a 0-60 mph time of 4.1 secs, and 0-100 mph in 10.2 secs. 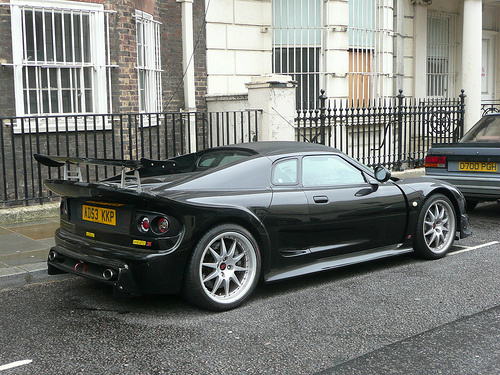 Following the success of the M12 GTO, Noble went a step further by launching, in 2003, the M12 GTO-3 sports car, in which the 2.5 litre engine in the GTO variant was replaced by a heavily tuned 3 litre, Ford Duratec V6 unit. Again fitted with twin Garrett turbochargers and an intercooler, the engine now developed 352 bhp at 6200 rpm, and 350 ft/lbs of torque at 3500 rpm. Retaining the five speed gearbox, the GTO-3 kept the same 165 mph top speed, but reduced the 0-60 mph time to 4.0 secs. It had a price tag of $48,000. 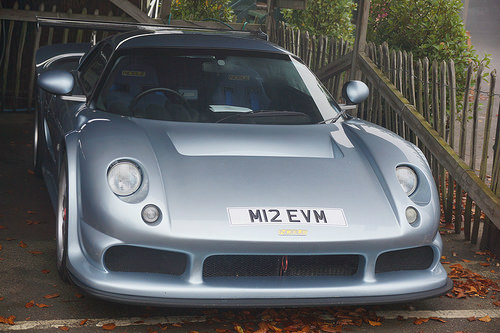 On the second hand market, the typical selling price of a Noble M12 GTO in good condition was around £24,000/$38,000, whilst a comparable M12 GTO-3 would fetch around £28,000/$45,000.